San Francisco's oldest and most diverse comic book and graphic novel store, with two locations to serve you. Comix Experience Are You Experienced? 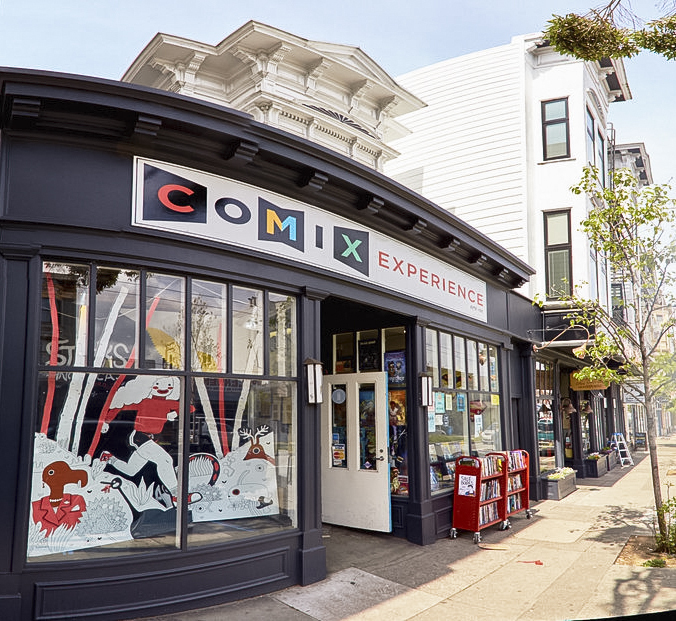 Comix Experience's flagship store has been open in the same location with the same ownership since April Fool's Day 1989. There is no better source for new and used graphic novels in San Francisco than Comix Experience, though we also carry a wide, varied and extensive selection of new comic books as well. Whether you're looking for a unique recommendation for a new series to read, or for the perfect gift to show your friends what a vibrant medium comics and graphic novels are, Comix Experience has you covered. Comix Experience also has an excellent subscription service available for all of your new comics needs, and we print our own in-house monthly magazine called "Comix Experience Onomatopoeia" to help guide you through each month's new releases. Comix Experience is located in the near-center of San Francisco, and has excellent access by public transportation. We are within a block of the 6, 24, and 71 lines, and are just a short walk from the 5, 21, 22, 31, 33, 37, 43, as well as all of the streetcars (especially the N's Duboce Park Stop). Owner Brian Hibbs is an internationally acclaimed expert on comics and comic book retailing, writing the well-respected "Tilting At Windmills" for three decades now. He was on the board of directors for the Comic Book Legal Defense Fund and served as a judge for the prestigious Eisner Awards. He was one of the original founding members of Comics Pro.